The Brick House...in pursuit of stronger lives. : Click! Success is directly related to our level of commitment. No one trips and falls into success. How would you define success? A stellar career? A strong marriage? A fruitful relationship with God? Academic accolade? Obedient children? A thriving ministry? A home? Good health? A close knit extended family, to see a smaller number on the scale? Looking at these things, how close or far are you from what you view as success? Are you moving closer to the goal or further from it? Being able to assess your proximity, and your position along the path is the first action step toward going toward the prize. An even greater event is that moment in time when there is an almost audible “CLICK” in your spirit. It is like someone walked by and turned on a switch that you did not even know existed. At that moment, you realize that there is something greater available to you. It is that way when you first hear that Jesus took on all of your guilt so that you may live. It is that way when you hear that He has a purpose for your life. 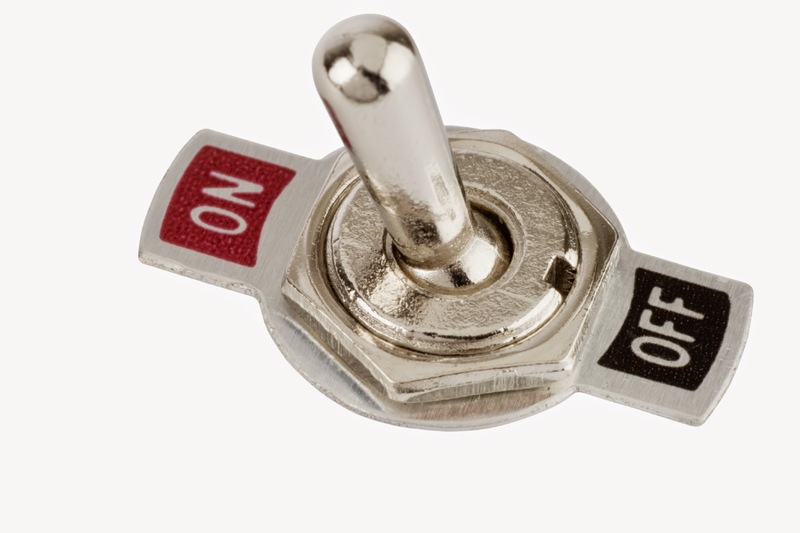 When that switch is turned on, there is nothing that can stand in the way of our exuberant drive to accomplish the goals that are set before us. Life is not a spectator sport, so why are so many of us sitting on the sidelines waiting to be called into the game? We reason ourselves out of jumping in to action with thoughts like “they had that handed to them,” or “if I was raised like they were,” or “it must be nice to naturally thin.” In truth, anyone that I would view as successful has put in far more time, effort, attention and prayer to their voyage than I could imagine. Where am I going with this? Purposeful persistence when pursuing the prize will prevail. Purposeful: every action we desire to show fruit MUST be energized by the fuel of purpose. Why do diets fail? Why does religion fail? Why does welfare trap many? The short answer is because they are superficial. Often they are short term commitments, or a band aide for a larger issue. Diets fail because we do not have a commitment to long term health, but instead we want to see fast results. Why does religion fail? Because we miss the opportunity to connect deeply with the Lord, and instead become satisfied with the obligatory rituals of religiosity. How come welfare cannot fix the poor? Because it meets the survival needs but does not empower individuals to thrive. The missing element in all of these is the recognition that there has to be an anchor point in our lives that tethers us to the most basic reason we do anything: and it must hold secure. From that place, our purpose fuels the journey. There are many miles still in my journey, and many faithful teachers whom I have learned from. If I can, I would like to share some very important anchor points that help me stay afloat among the roughest seas. Anchor point #1: At the age of 16, I experienced that first “click” when I began to recognize that the God of my salvation has me in the palm of His hand, desires great things in my life and has prepared a place for me. This great love He has shown me fuels the desire I have to have a thriving relationship with Him and in turn motivates me to share His love to those around me. When times get tough, and I don’t feel like I have anything left to give to others, I return to this anchor point and my purpose is revived once again. It is important that I am a vital part to their development, as God has designed and am a blessing to their future. I do not claim to have these things down pat. Are there times that I grow weary of the constant tasks of motherhood? Of course; that is precisely the reason to hold tight to the anchor point that does not allow me to veer off course, all the while keeping in sight the future impact of today’s decisions. Anchor point #3: Now in my later 30’s, after struggling with my weight for more than half of my lifetime, I have a greater commitment to health than I ever have. Knowing that my mother did not see her 40th birthday encouraged me to take a long hard look at where health fell on my priority list. Just before my 35th birthday, a life-changing thought came to me, “if, at 35, my mother knew she only had 4 more years to live, what actions would she have taken to make an impact on her chance of survival.” Immediately, I felt that “click” and I was committed to change my lifestyle in effort to honor this earthly vessel that is given to me for a few short years. This was not a short term, “I want to fit into that little black dress” motivation. It was a commitment to give my family as many good years of my life as I have influence over. This does not take the place of understanding God’s sovereign will in my life, however, it is recognizing that good stewardship is reflective in every area of our lives: time, money, grace, health. This anchor point is what keeps me dedicated to maintaining good nutrition and healthy activity. This is what fuels my motivation to put my running shoes on when I would rather sleep an extra hour, or choose the colorful produce rather than the thin mints. Over the next few weeks, I will be sharing a series of posts related to my experience of developing greater health and weight loss, as well as the doors that have opened along the way. In this journey, I have discovered that my anchor points #1, #2 and #3 are closely related, and I desire to share with you all of the many blessings that come in an abundant life, filled with the Holy Spirit and honoring the days He has given us through nurturing our health. I hope it brings you hope, inspiration and encouragement. Can you hear the “click” yet?